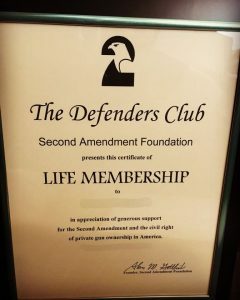 Organizers of a pro-rights march hope to meet their lofty goal of attracting up to 10 million supporters of the Second Amendment at the event tentatively scheduled for noon on Saturday May 25, 2013. According to the event website, organizers are still working to secure sponsors and a venue. Once those issues are handled, the date, time and location will be finalized. Keep an eye on the GunLink Blog and Forums for updates as more information becomes available. The event also has a Facebook page located here. After speaking with the Rolling Thunder Group and The National Park Service representative on April 5th 2013, The National Park Service will NOT issue us a separate permit to have our Second Amendment Rally at the Lincoln Memorial using Rolling Thunders stage in conjunction with the Rolling Thunder Freedom Ride even though the Rolling Thunder Organization was kind enough to allow us to use their stage pending a separate permit. Plain and simple, The Obama Administration does not want us to be in Washington on May 25th to honor all of the brave veterans who died for the Bill Of Rights and is now violating our First Amendment Rights to assemble in a place of our choosing. The purpose of this event was to honor our Veterans on Memorial Day Weekend using the Lincoln Memorial as a back drop. I guess the Lincoln Memorial and the Reflecting Pool is only to be used for liberal causes these days. The Rolling Thunder Freedom ride will still be taking place and gun owners could attend that event at the Lincoln Memorial if you so choose. The link for this event is below. It is a worthy cause so if you want to attend this event on May 26th please attend and support the Rolling Thunder Organization. You have to hand it to them – if the gun control crowd is anything, they’re consistent. Or maybe predictable is a better word. 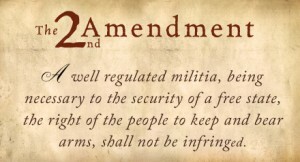 No matter which adjective you use for them, their unceasing efforts to trample Second Amendment rights are undeniable. They are a motivated and largely organized group and if we want to preserve our rights we must also be motivated and organized. We cannot sit idly by while a vocal minority peppers our representatives with calls to incrementally (or not-so-incrementally) degrade our rights. There are a number of online tools, provided by organizations like GOA and NRA, which allow you to find out who your representatives are and contact them. There is a relatively new resource called POPVOX (from the latin vox populi – the voice of the people) that users can take advantage of to express their opinions to their legislators. While POPVOX has been around for a couple years, it has recently been gaining in popularity and is a perfect opportunity for supporters of the Second Amendment to voice their feelings on pending gun control measures. To find current gun control issues and weigh in on them using POPVOX, visit The Official GunLink POPVOX Thread To Oppose Gun Control Legislation on the GunLink Forums or visit speakup.GunLink.info.